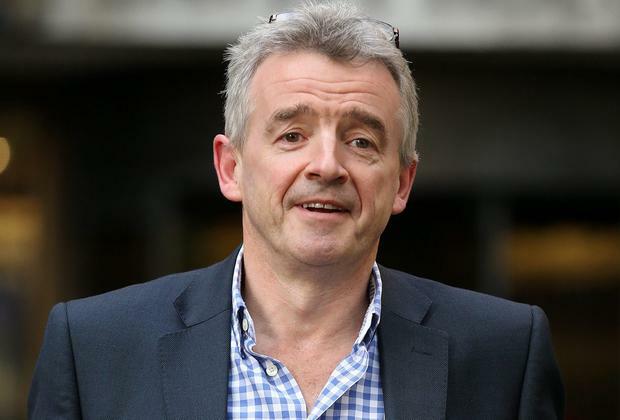 Ryanair's Michael O Leary: "It'll blow comparison sites like Skyscanner out of the water." O'Leary said he expected the project to go live by the end of March. INTERNET giant Google is working on top-secret plans with Michael O'Leary's Ryanair in a bid to completely transform how consumers search for, select and buy airline tickets. In a wide ranging interview with the Sunday Independent, in which he describes "running out of road" when it comes to being the face of Ryanair, O'Leary said the partnership with Google would change the way people buy tickets forever. "There are some very exciting developments with Google, where we have been working with them on sharing the pricing," O'Leary said. "We'll be sharing the Ryanair pricing through all of the Google outlets, so when you go in, there'll be route selections, cheapest prices and so on. Google are developing a price-comparison thing themselves. "They want to launch with us and we're working with them on that kind of product. "It'll blow comparison sites like Skyscanner out of the water." "Google will say, 'Here are the fares,' then you click straight through to Ryanair or someone else. It blows everyone else out of the water." The famously frugal Ryanair is not putting any of its €3bn cash pile into the new scheme, with Google only seeking valuable data from the airline. "Because Google, being Google, want to show all of the prices from all of the airlines on display. They don't want to charge us, they make all of their money out of advertising," explained O'Leary. "They don't want to have a limited or biased search. They want to be able to say they've screened all of these airlines on all of the routes. "They need to find who has got the lowest airfare on these routes... and that's us." O'Leary forecasts a technology revolution in coming years as Ryanair steams into mobile commerce and big data. "In Europe, the flying won't change much but the distribution will change massively. It's all going to move to digital and mobile. The opportunities for ancillary revenues through mobile are enormous. "In five years' time, everyone on Ryanair will be paying on their mobile. You'll pay for your drinks and snacks with your mobile. You'll upgrade to priority boarding on your mobile. "We'll be doing more individual marketing, with the launch of My Ryanair. "We'll build individual profiles for each passenger. We'll know how often you fly, where you fly, who you fly with and we'll design individual packages for you. "For example, if you fly business 12 times a year, we'll say something like, "If you fly 13 times, here's a free ticket for your wife.'" O'Leary also said that Ryanair's new website would include a slick 'Farefinder' feature, whereby customers can look at graphs on each route, showing the days with the cheapest flights over the coming 60 days. The maverick airline boss also said Ryanair's move to soften its image and relax some of its more less popular rules was part of a strategy to capture new passengers. "We own the 81 million price-sensitive people or people who live around our airports in Europe, so we now have to go after the 20 million or 30 million people, the people who'd say, 'I'd rather pay €20 or €30 more to fly Aer Lingus,'" he said.